About half way throught the year I like to update the trends I see happening in the Fort Myers/Cape Coral, Florida and the surrounding areas. 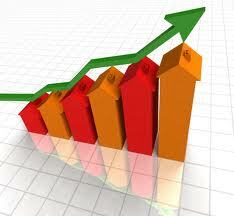 House prices continue to rise in many markets. In Lee County, the average prices are up 16.8% as in the same time frame last year. Prices locally have dropped 3.6 % in the last 30 days. Historically there is a small price drop just before back to school. Prices will start climbing again in October as seasonal visitors start their trek for the Holidays. With prices rising, new construction is back on the rise and more home owners are putting their house on the market. Investors have backed off their activity and we are now in a “Sellers’ Market”. Home Buyers, especially retirees or Baby Boomers, are looking for move-in ready houses rather than inheriting the problems that may come with a re-sale. Interest rates have climbed a small amount but still remains very favorable for home buyers. This may change in the near future which makes the urgency to buy now very important. Also, Mortgage companies and Banks have loosened the very rigid standards that were in place after the market fell in 2005 to 2006. Foreclosure numbers have dropped extensively. They no longer a significant number in the available housing inventory. Again, in a Sellers’ Market, REO’s (Bank Owned) are priced to be competitive, no longer the bargain they were from 2008 to 2010. In summary, if you purchased your house over 15 years ago or bought an REO at a bargain price, NOW is the time to put your house out there. Prices will continue to rise slowly but not as high as they were in the early 2000’s. Don’t join another round of “Coulda, Shoulda, Woulda” Home Owners. If interested in Selling your home in SW Florida, contact our office to see our 21 part marketing plan. Check out “Do you want to List your Home or Do You Want to Sell IT?”.